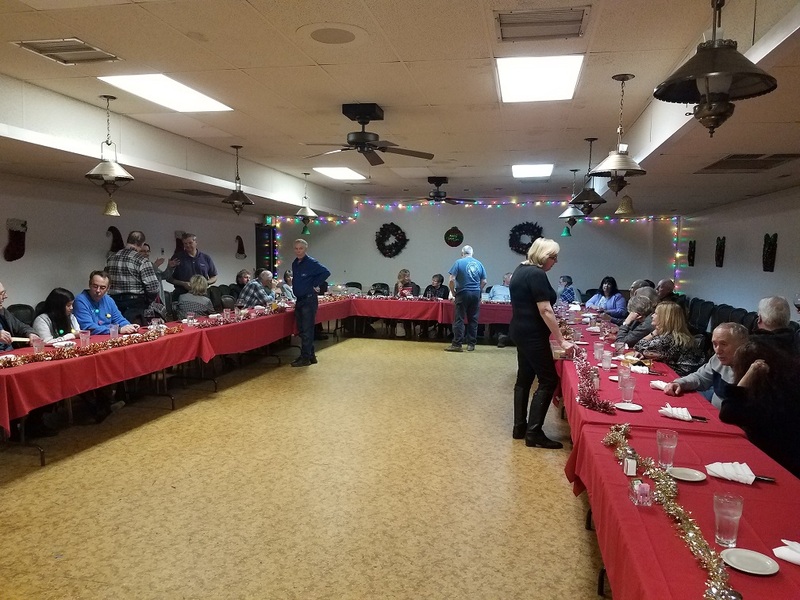 On Sunday, December 9th 35 club members were able to gather at the 50 Grand Club in Pollock Pines for a meal and holiday cheer. 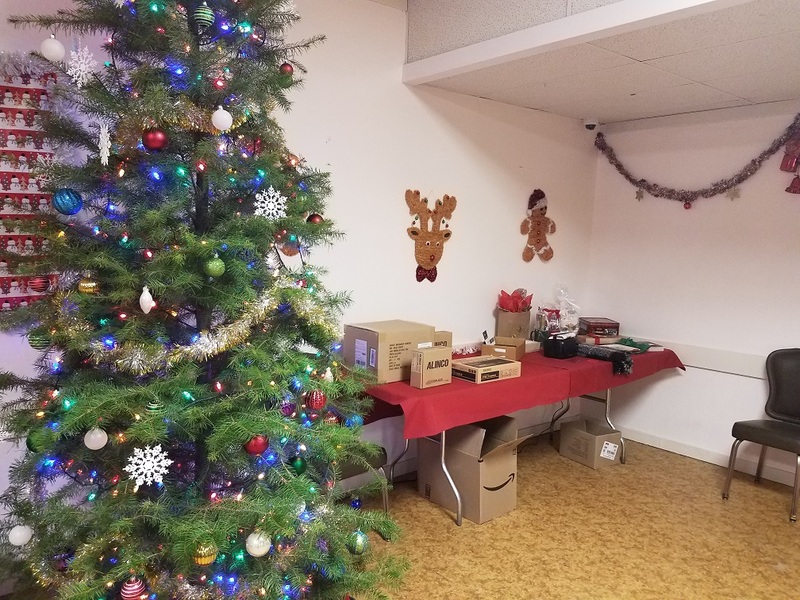 The club has not held the holiday dinner at the 50 Grand in over 15 years so it was a walk down memory lane for a few of us long time members. The 50 Grand had the banquet room all decorated and ready for us to celebrate. 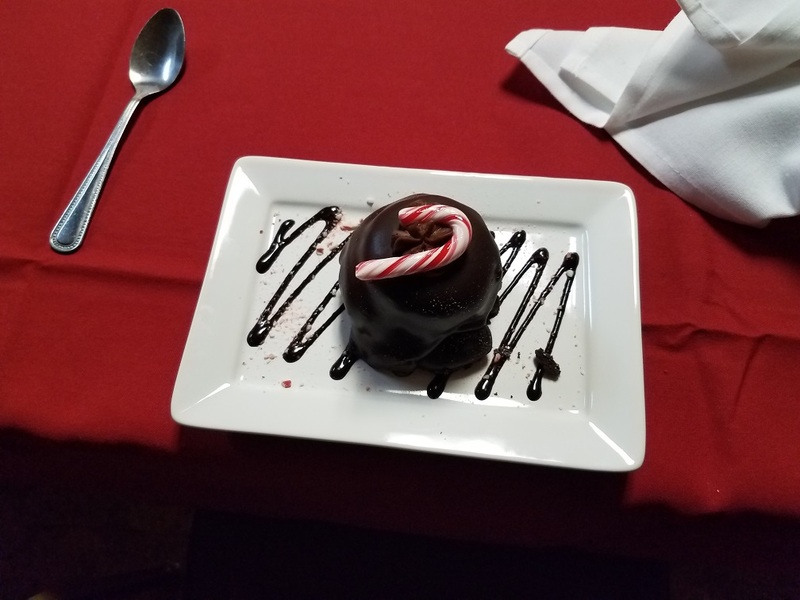 The food was good and the dessert was delicious. Nancy kicked off the raffle and door prize giveaway at the end of the meal. One corner of the room was especially lucky wining a good portion of the prizes. We hoped everyone enjoyed the event and will have a Merry Christmas and a Happy New Year! Prizes waiting to be won. Lots of holiday conversations while waiting on the meal. 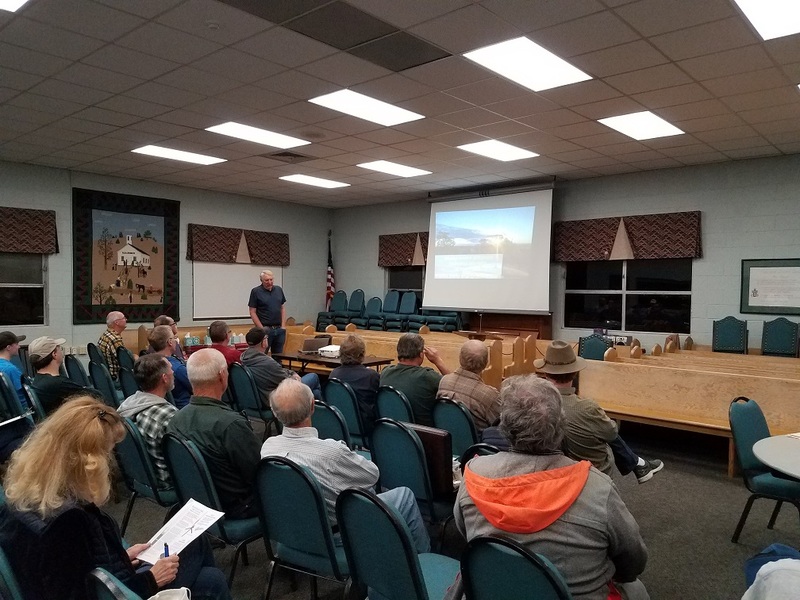 Several club members took a tour of the 2,029 ft KOVR transmitter tower located in Walnut Gove, California. The tour was hosted by Bob, W1RH. 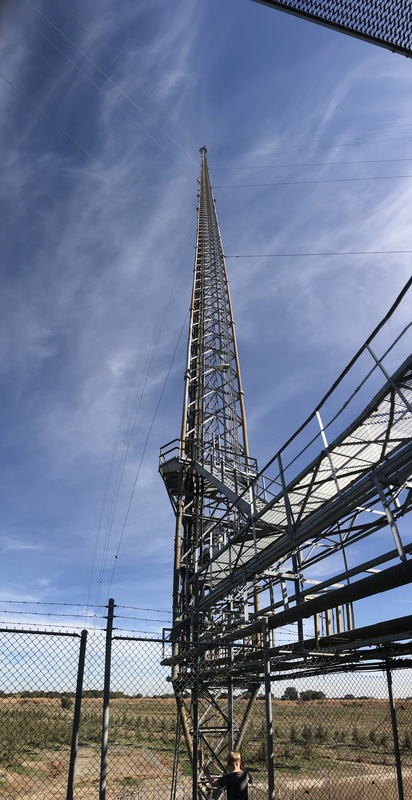 It is the tallest stucture in California and provides the OTA TV signal for KOVR Channel 13 in the Sacramento / Stockton area. Every ham dreams about having a tower like this! 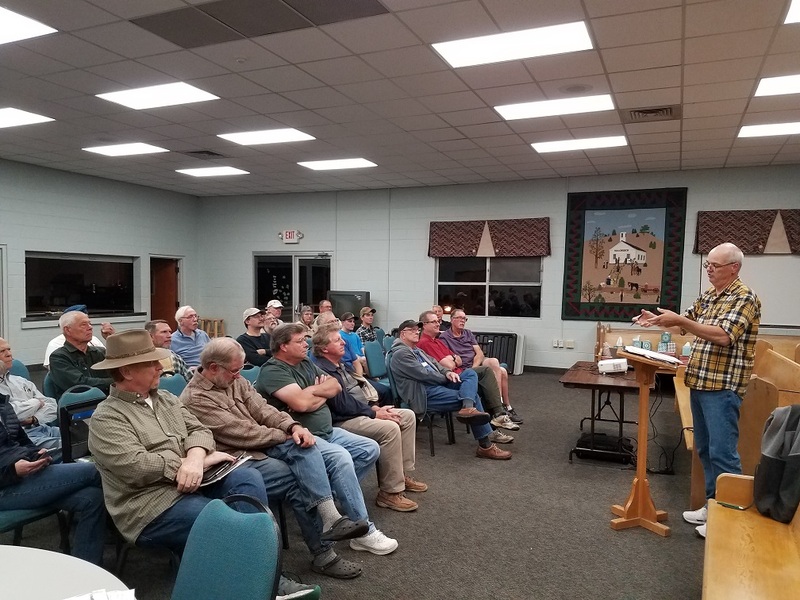 Nice turnout for the October meeting. A few of the members gave their impressions about Pacificon and showed off some new treasures they found at the conference. 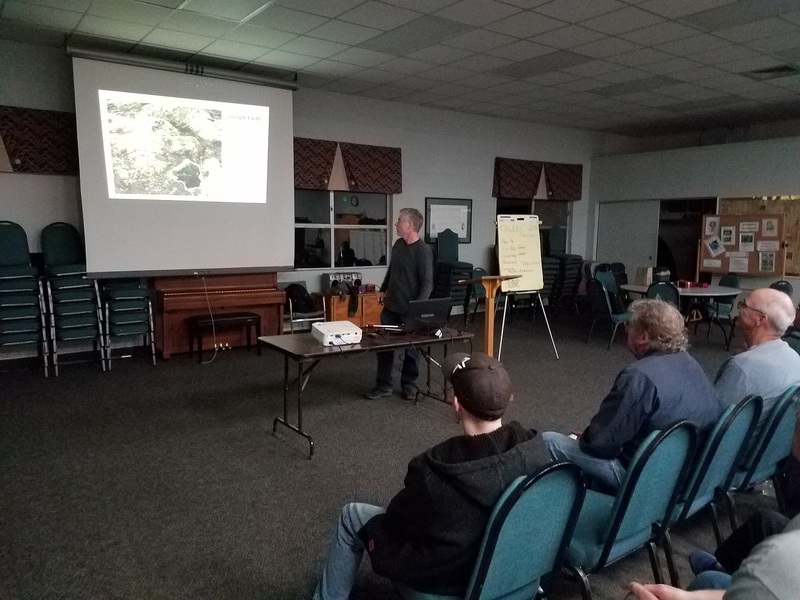 Bob, W1RH gave a talk about his DXpediton for the 2018 CQP contest using a very remote Air B&B. 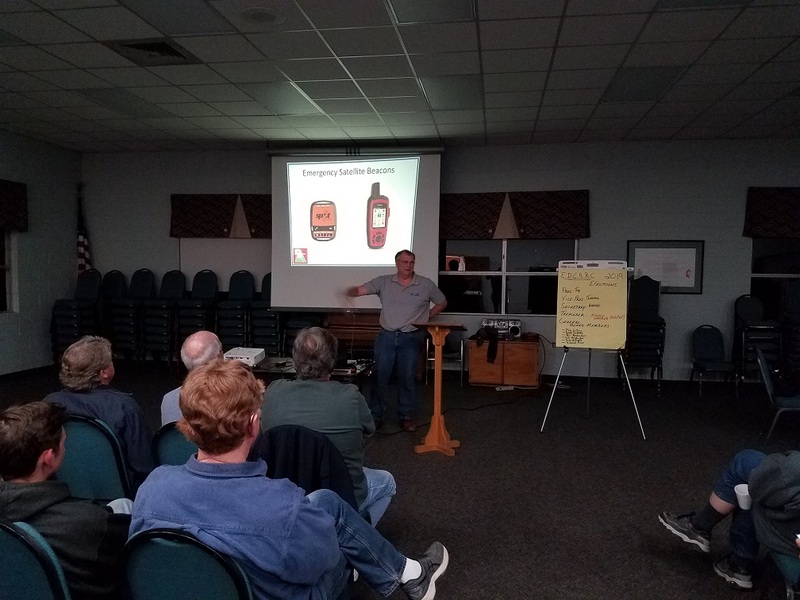 One of the meeting participants went home with a new tri-band handheld radio after the raffle. August 23rd meeting – Go Box Night!